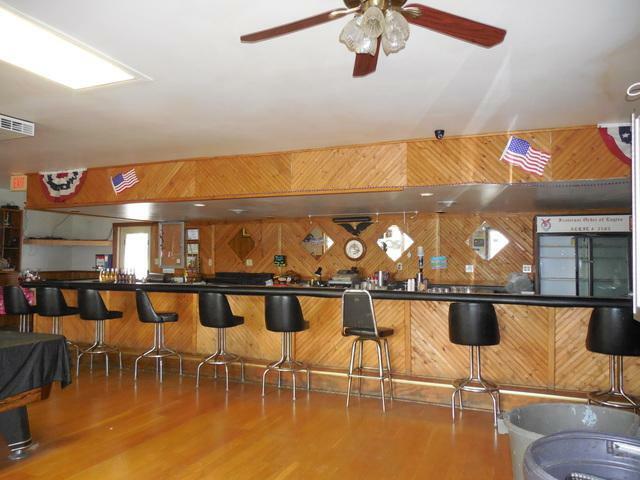 Property has been used for a private club ( Eagles ) Full bar with coolers ( as is ) Large bar room, ( Bar 34' long ) with room for pool tables. 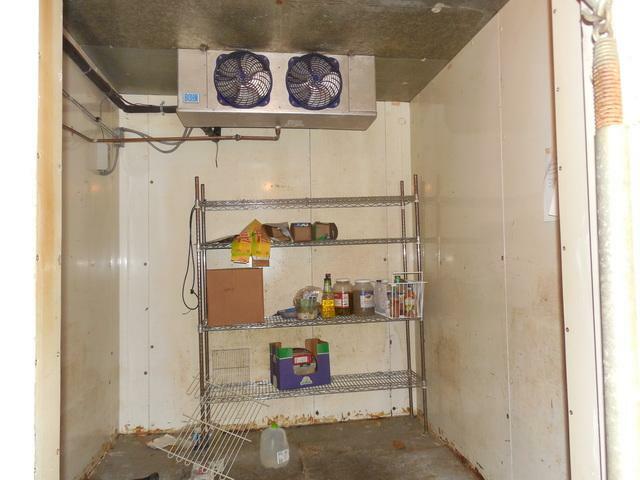 20 x 37 Bar room, 9 x 10 cooler( as is ) Dance floor 16 x 15. Restrooms In addition full banquet hall 43 x 27 with rest rooms and storage. 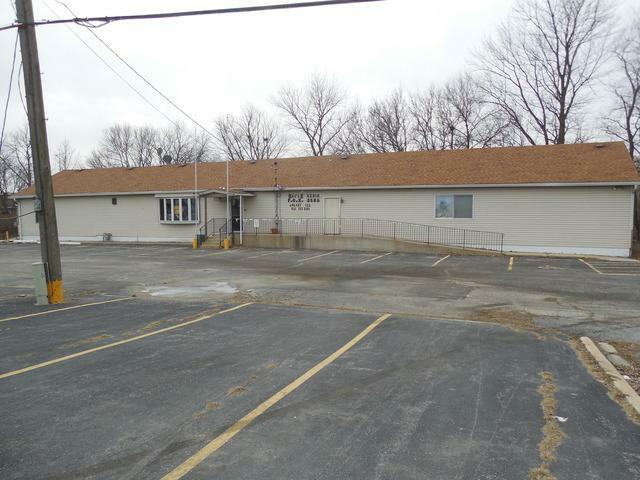 Additional offices 8 x 15, 10 x 8 and storage 13 x 9 Full basement under bar area with walk out to outdoor patio. 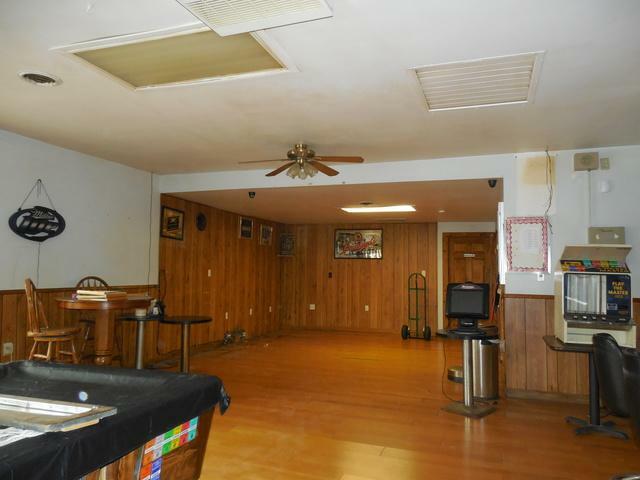 Zoned C4 Special Use Tavern SOLD AS IS WITH NO LIC.